I recently wrote about a stunning 2.5-acre oceanfront property in Ninole (MLS# 255393). While that Hamakua Coast property has garnered a lot of attention, several new East Hawaii land listings have also recently become available. Ranging in size from less than an acre to 514 acres with prices running from $59,000 to $2.65 million, there is plenty of opportunity to find a tropical property that fits your needs and dreams. Each property is well suited for building your Hawaii dream home. Located on Old Mamalahoa Highway, this 0.7-acre Ninole property, offered at $59,000, is perfect for someone looking for a lush tropical setting in which to build without the acreage (MLS# 264134). Landscaped with a variety of trees including palms and African tulip trees, the lot also features plenty of ferns and flowers. 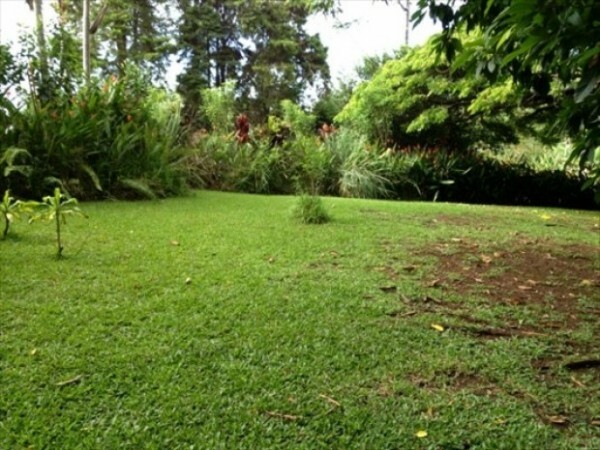 Build your dream Hawaii house surrounded by lush landscaping on this 0.7-acre Ninole property. A stream runs alongside the property adding to the relaxing feel of the land. Build a one or two-story home here – you are limited only by your imagination! According to the Hawaii County Water Department, a water meter is available, though you will need to check with them regarding the cost of installation. What’s more, the adjoining property, (MLS# 263999), is also for sale and features a charming 3b/1.5 home complete with fresh water pool. Buy both properties and rent out the existing house after you build your dream home or build a rental property on the lot and live in the existing house. Ninole is a charming small town, yet close to Hilo and Waimea. Read about the benefits of living in Ninole in my blog. At the other end of the land listings is a 514-acre Pepeekeo property featuring mountain and ocean views, available for $2,650,000. This property is well suited for farming, ranching – or both! Located along the Hamakua Coast, above the village of Honomu, off Akaka Falls Road, the property is bordered by two streams. The top of the property borders the Hilo Forest Reserve while neighboring properties are owned by Bishop Estate and the State of Hawaii. Portions of the property are currently being used for ranching cattle. Honomu is a small town home to quaint shops and restaurants. There are many lovely homes in the area and this property gives you the opportunity to build a truly expansive ranch or tropical home. Akaka State Park, featuring one of the Big Island’s most spectacular waterfalls, is also nearby. If you’re looking for acreage that’s not too large and not too small, then this 6.1-acre Honomu property may be just what you are looking for. Offered at $325,000, this property features prime farming land ready for you to build your dream home. Electricity and water are available, and the property is located in a gated area. 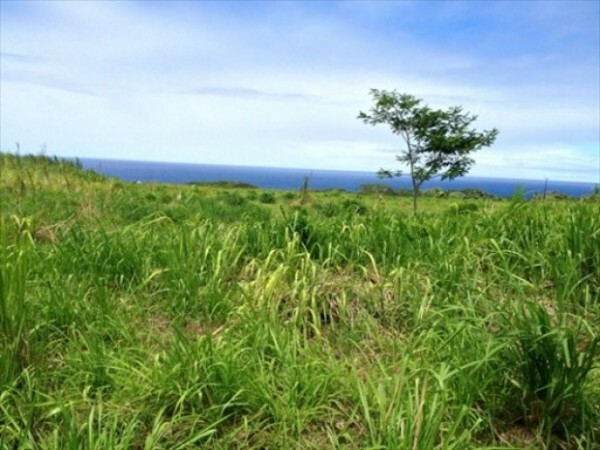 It can be hard to find small acreage on the Hamakua Coast. 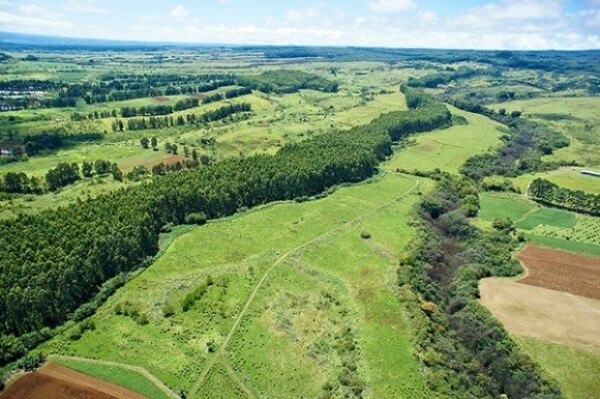 This property is large enough (and ready) to allow for farming, or provide for a private estate. You get the best of both worlds, with the charm of a rural property, yet close to the village of Honomu with its restaurants, shops, coffee house, bakery, and post office. What’s more, Hilo, the second largest city in the state, is just a short drive down the coast. Give me a call today at (808) 963-6880 if you want to learn more about these or other Big Island land listings.